It’s Monday, Florida State fans. As your week begins anew, keep it here for the latest in FSU athletics. The news and notes section of this post will be updated throughout the day. 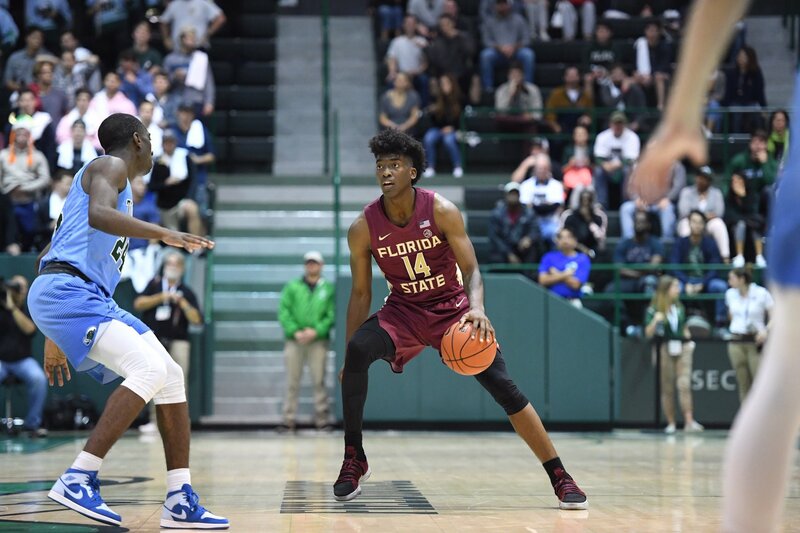 Florida State senior slasher Terance Mann is a big reason why the Seminoles are ranked in the top 15, but the hardwood isn’t the only area where the New England native is excelling. Mann was named among 30 candidates for the Senior CLASS award. According to a release, “a student-athlete must be classified as an NCAA Division I senior and have notable achievements in four areas of excellence: community, classroom, character and competition”. CLASS is an acronym for Celebrating Loyalty and Achievement for Staying in School. Mann has been involved in numerous activities off campus, according to the release. For the season, Mann is averaging 12.3 points and 7.1 rebounds — both team-highs — while shooting 53 percent from the field. FSU soccer defeated North Carolina on Sunday for the national championship, 1-0. FSU basketball will host Troy on Monday night. The contest begins at 8 p.m. EST and will air on ACC Network Extra. There are contradicting reports about FSU linebacker Adonis Thomas’ decision to transfer. FSU basketball moved up from No. 15 to No. 11 in both the AP and USA Today Coaches Polls. The ACC will name players of the week for various sports on Monday. FSU defensive end Brian Burns will forego his senior season and enter the NFL Draft. FSU offensive coordinator Walt Bell will leave to become head coach at UMASS, per multiple reports. FSU hoops defeated Troy on Monday night by pulling away late, 83-67.